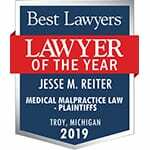 The Michigan hypoxic ischemic encephalopathy lawyers at Reiter & Walsh ABC Law Centers have helped hundreds of children who have hypoxic ischemic encephalopathy (HIE), cerebral palsy and other birth injuries. Attorney Jesse Reiter, the firm’s president, has been helping children throughout the country for almost 3 decades. Jesse focuses solely on birth injury cases and most of his cases involve HIE and cerebral palsy. Jesse and his partner, Rebecca Walsh, are currently recognized as two of the best medical malpractice lawyers in America by U.S. News and World Report 2015, which also recognized ABC Law Centers as one of the best medical malpractice law firms in the nation. If your delivery was affected by fetal monitoring errors and your child has hypoxic ischemic encephalopathy (HIE), seizures, cerebral palsy or any other long-term condition, contact Reiter & Walsh today at 888-419-2229. Our award winning Michigan hypoxic ischemic encephalopathy lawyers are available 24/7 to speak with you. Knowing when a baby is in distress during pregnancy, labor and delivery is very important because fetal distress represents a lack of oxygen in the baby. If a fetus is deprived of oxygen for too long, brain cells start to die and a form of brain injury called hypoxic ischemic encephalopathy (HIE) can result. A fetus’s brain can be deprived of oxygen when there is not enough oxygen in the blood (hypoxemia / hypoxia) and when there is insufficient flow of blood in the brain (ischemia). When a fetus is deprived of oxygen, it is very serious because physicians do not have instant access to the baby when oxygen deprivation and fetal distress occur. Instead, the process of delivery – often by an urgent C-section – has to take place before physicians are able to directly help the baby with oxygenation. In many cases, simply delivering the baby so she can breathe on her own is the main action that needs to occur because it removes her from the oxygen depriving conditions. However, physicians and nurses may not be aware that a baby is in distress if the baby is not being monitored with a fetal heart monitor, or if data on the fetal monitor is being ignored or misinterpreted. If a baby’s hypoxia and distress are not recognized, HIE and other permanent brain injuries can result. Fetal monitoring can be performed with an internal or external fetal monitoring device. External monitoring works by placing belt-like straps around the mother’s abdomen. One belt uses ultrasound pressure to measure the baby’s heart rate, and the other is a pressure transducer used to measure contractions. The data is recorded on a computer and is printed onto a sheet of paper as a graphical representation of the baby’s heart rate in response to contractions. When a contraction occurs, the baby’s heartbeat drops slightly but returns to normal once the contraction stops. The fetal monitoring graphs show any discrepancies in this pattern. A more accurate method of fetal monitoring is an internal fetal monitor, which works in a similar fashion, except an electrode is placed on the baby’s scalp, and this relays the baby’s heart rate to the computer. Fetal distress is shown as an abnormal (usually slow) heart rate on the fetal monitor, and when a baby is in distress, it means that she is not getting enough oxygen. When a baby is being monitored with a fetal monitor, a baseline heart rate is established. The baseline is the baby’s heart pattern between contractions; it is the persistently stable rate, where there are no contractions or other provocations. The normal baseline fetal heart rate (FHR) is 110 – 160 beats per minute (bpm). Values below 110 bpm are termed bradycardia (slow heart rate), and those above 160 bpm are termed tachycardia (fast heart rate). FHR’s are cyclical in nature, with periods of variability, accelerations, and decelerations. It therefore is important for patterns to be observed over a period of time in order to determine the importance of the pattern and to know when an abnormal pattern is occurring. Variability refers to the irregularity or fluctuations that can be seen in the line when examining a FHR tracing. The FHR variability represents a slight difference in time interval between each beat. Baseline FHR variability is defined as the FHR variability determined in a 10 minute window, excluding accelerations and decelerations. The fluctuations can be over short intervals (“beat to beat”) or longer intervals. Both are shown as jagged lines. Accelerations are periodic, temporary increases in FHR usually lasting 15 to 30 seconds, and are associated with fetal movements or uterine contractions. Bradycardia is very serious and can be caused by hypoxia, or it may be the cause of hypoxia. Bradycardias that occur near the end of the second stage of labor can lead to hypoxia if sufficiently prolonged and severe. These bradycardias can be the result of head compression and sudden umbilical cord compression. If bradycardia becomes severe, oxygen and carbon dioxide transfer will become impaired and the baby’s blood will become acidic. Bradycardias that result from severe hypoxia do not return to baseline and have decreased or absent variability (flat line). This can be seen in dangerous complications, such as uterine rupture, extensive placental abruption, or just prior to fetal death. When FHR is under 100 bpm for more than 3 – 5 minutes – independent of uterine contractions – it means the baby is not getting enough oxygen and severe asphyxia is occurring. This is an emergency and means the baby must be delivered immediately by C-section to avoid or decrease damage to the brain. Certain drugs given to the mother can cause the baby to have tachycardia or bradycardia. Indeed, interpreting a fetal heart tracing requires skill. Often, a non-reassuring FHR is the only indication that a baby is oxygen deprived and in distress. If a physician or nurse fails to monitor the baby or fails to properly interpret the tracings / graph, an emergent situation that requires intervention may be missed. The baby may be left in oxygen depriving conditions that cause HIE. Umbilical cord problems, such as compression, prolapse and nuchal cord. The umbilical cord is the baby’s lifeline; it is the conduit by which oxygen-rich blood is delivered from the mother (through the placenta) to the baby. If something is pressing against the cord or if the cord is in a knot, blood flow may be unable to properly flow through the cord, and the baby can become deprived of oxygen. The rupture causes the placenta to be either partially or fully cut off from the mother’s circulation. This means that there will be either no or low flow of oxygen-rich blood to the baby through the umbilical cord. Hyperstimulation of the uterus. This can be caused by improper use of Pitocin or Cytotec, which are labor induction drugs. These drugs can cause the uterus to have strong and frequent contractions, which can cause the uterus to be hypertonic. This means that the contractions are so intense that the uterus is in a state of almost constant contraction, and the vessels that carry blood to the baby are compressed or impinged upon. Since the contractions are almost continuous, there is not sufficient relaxation of the uterus to allow the placenta and its vessels to go back to normal and recharge with a fresh supply of oxygen. When there is insufficient flow of oxygen-rich blood, the baby can become severely oxygen deprived. Placental abruption. This is a serious condition in which the placenta separates either partially or completely from the uterus. Abruption can cause oxygen deprivation in the baby since the baby receives oxygen-rich blood from the mother through the placenta and umbilical cord. If there is a complete placental abruption, the baby will be completely cut off from receiving oxygen-rich blood. Partial abruptions may not be as severe; the severity depends on how much of the placenta has separated, the length of time and location of the separation, the age of the baby, and the amount of reserve the baby has. Uteroplacental insufficiency. Anything that causes insufficient blood flow to the placenta during pregnancy can cause the baby to be oxygen deprived. This can occur when there is an abnormally thin placenta or problems with vessels and capillaries in the placenta. Polyhydramnios (excessive amniotic fluid). When there is too much amniotic fluid, there is a risk of cord prolapse, placental abruption and premature birth, all of which can cause oxygen deprivation in the baby. Oligohydramnios (insufficient amniotic fluid). At about 20 weeks of age, the baby breathes and swallows amniotic fluid, which aids in nutrition, growth, lung maturation and maintaining a constant temperature. If this fluid is insufficient, it typically means the placenta is not functioning properly. Oligohydramnios can cause cord compression, and is associated with fetal growth restriction, meconium aspiration, preeclampsia and placental abruption, all of which can cause a baby to be oxygen deprived. Cephalopelvic disproportion (CPD) (mismatch in size between the baby and mother’s pelvis). If the baby’s head or body is too large to get through the birth canal (which can also occur in macrosomia), the baby is at risk of having a difficult and prolonged labor, which can cause trauma, brain bleeds and umbilical cord prolapse and compression. All of these complications can cause severe oxygen deprivation in a baby. Breech presentation. If the feet or buttocks are positioned first to come through the birth canal, serious complications can arise, such as cord prolapse, nuchal cord, and head trauma and brain bleeds. These conditions can cause the baby to be severely oxygen deprived. Prolonged and arrested labor and maternal exhaustion. When labor takes too long or fails to progress (stops), the baby can become extremely distressed because firstly, contractions and the forces of labor itself can be stressful on the baby and on the placenta that supplies oxygen to the baby. In addition, there is an increased risk of delivery instrument use, such as use of forceps and vacuum extractors, which can cause trauma to the baby’s head and result in intracranial hemorrhages and brain bleeds. Furthermore, physicians may use the labor induction drugs Cytotec or Pitocin, which can cause uterine hyperstimulation. Oxygen deprivation in the baby can occur as a result of all these conditions. Physicians and the medical team must skillfully and continuously review the fetal heart tracings throughout labor and delivery to ensure that fetal heart tones are reassuring and the baby is receiving sufficient oxygen. If non-reassuring fetal heart tracings occur, prompt and appropriate actions must be taken. These actions may include the administration of oxygen, fluids and medication to the mother, or a change in the mother’s position. Often, an emergency C-section is required in order to remove the baby from the conditions causing the fetal distress, especially if earlier interventions did not cause fetal heart tones to become reassuring. An emergency C-section should be performed within 18 minutes, depending on the circumstance, and sometimes a lot sooner. The sole purpose of the fetal heart monitor is to allow the physicians and nurses to identify signs of fetal distress and to take quick and appropriate action. If a physician or nurse ignores the fetal monitor tracings or misinterprets them and oxygen deprivation and HIE occur, it is medical malpractice. If your child experienced hypoxic ischemic encephalopathy (HIE) and you believe it was due to improper fetal monitoring and a delayed C-section delivery, contact the nationally recognized Michigan hypoxic ischemic encephalopathy lawyers at Reiter & Walsh ABC Law Centers. We will review the medical records and determine if the fetal monitor tracings were ignored or misinterpreted. If negligence played a role in your child’s injury, we will fight to obtain the compensation your child deserves for medical care and a secure future. Call us toll-free for a free consultation: 888-419-2229. Our award-winning Michigan hypoxic ischemic encephalopathy lawyers are available 24 / 7 to speak with you. 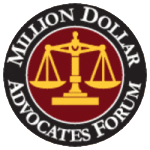 We serve clients throughout the nation and never charge any fees until we win your case.